The Super 8 Motel Gainesville is great place to stay while visiting Gainesville, FL. It is perfectly situated just minutes from downtown Gainesville. 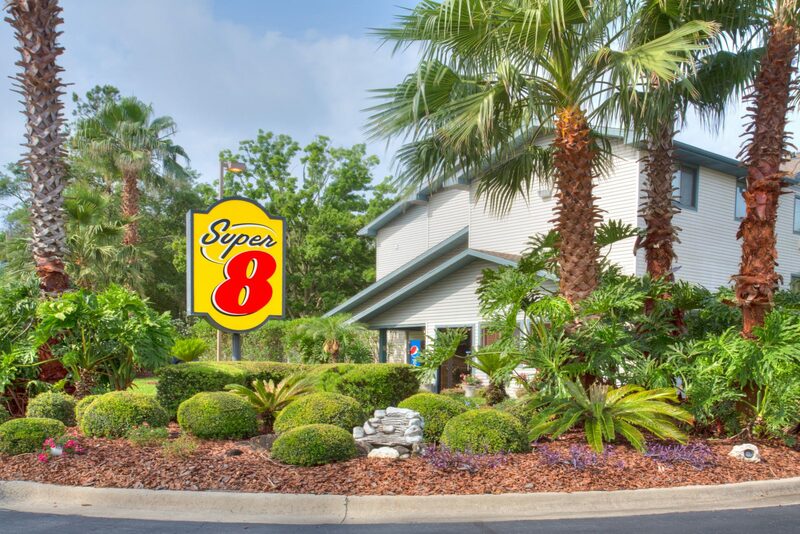 Located off of I-75 at Exit 384 (the Archer Road Exit), the Super 8 Motel Gainesville is close to the University of Florida, Shands Hospital, the Florida Museum of Natural History, and other major Gainesville attractions and companies. The comfortable accommodations at the Gainesville Super 8 Motel feature free Super Start Breakfast, in-room coffee makers, free local and 800 access calls and free wireless high speed internet. Rooms also offer satellite TV with free HBO, ESPN, CNN and more; iron and ironing boards, and electronic in-room safes. Bathrooms include hairdryers and curved shower rods for extra space in the shower. Microwaves and refrigerators are available in select rooms and small pets are welcome.